When is the best time to visit Italy? From my experience of holidaying in Italy many times and now from living here, without hesitation I can say that it is during the Spring and Autumn months. 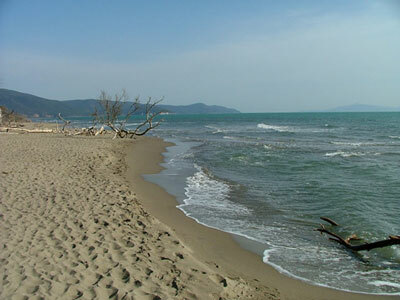 During the spring and autumn, and particularly during the weekdays, it is possible to have one of Maremma's beaches all to yourselves. And, if not entirely yours, with only a few passing joggers or galloping Maremmano horses... heaven. As the summer approaches, the beaches fill up, until, at its peak - in August when almost every Italian is on holiday, together with holidaymakers from Austria, Germany and Switzerland - it is very nearly impossible to find a piece of sand sufficient to sit on. An altogether different experience and one that I tend to avoid. I have yet to meet an Italian whose idea of a weekend break or summer vacation isn't being on the beach. This together with the fact that Italian schools are closed from July and most businesses in Italy shut down from mid-July to the 1st of September (some smaller family businesses, such a "panifico" - bread bakers - or bars in a small town, doing so in rotation) means that you will find most of Italy along its coast during the summer. My local seaside town, which is quiet during the winter, swells in number at the weekends from Easter onwards with visitors from Florence, Siena and Rome who have second homes here, to a fifteen-fold increase in July and August! Driving into town takes forever, parking spaces are non-existent, and if you want to do your supermarket food shopping in under three hours, it becomes necessary to do so at immediately after lunch, when everybody else is taking a siesta! However, in the major Italian cities such as Rome, Firenze, Pisa and Siena, apart from some restaurants closed for the "ferie" (holidays) that would otherwise have been open, the cities continue to cater well for tourists. Once the spring starts in Italy it gathers pace quickly and before you know it you are out of the layers of your warm clothes and into T-shirts and shorts in no time. But the temperatures aren't the overpowering and exhausting ones of the summer to come. But don't worry if you are dreaming of returning home with a tan. One of my girlfriends comes to stay for a few days at the beginning of May of every year and she always leaves a golden bronze colour. The summers in Italy can be very hot and the phrase "mad dogs and Englishmen out in the midday sun" comes to mind when I see tourists walking around Florence, Siena and Pisa suffering badly in the heat of the day. Even though I did just the same thing on my first two visits! If you don't want to find yourself carrying litres and litres of water with you and regularly crossing streets to stay within the shade as you explore a new place, it really is best to avoid the months of July and August. If you do visit Italy then, then take a tip from the locals and stay indoors or find a shady spot for the hours of noon to 3pm and take a snooze. Or plan to visit a museum or art gallery or historical house, and stay cool. You will feel all the better during the afternoon and evening for it. And after all, the attraction of Italy for many is the slower pace of life that it offers - an integral part of La Dolce Vita here. I have friends who live inland from the coast in a medieval Tuscan hill town. The higher altitude affords them the benefit of a cooler temperature during the summer even though they are only a 15 minute drive from the coast and can see it glistening in the summer sun. But even they, as used to the summer temperatures as they are, move a half hours drive further inland during July and August to their summer home. Be warned. But that said, I have had some great Augusts in Italy! But I knew what to expect after the second time. From 1 September most Italians consider that the summer has finished and autumn has started, even if the temperatures remain as high as during the height of August. I kid not, but even on the coast, those returning to work after their summer "vacanza" often do so in jackets and scarves, whilst I am still in a summer dress or shorts! But it is one of the loveliest times to visit Italy. There is still a deep warmth to the sunshine filled days, but with the beginning of a few cooler nights so that the ability to sleep comes so much more easily. Again, don't worry about returning home pale. I will never forget my first trip to Italy when, after a picnic lunch stop on the steps of the Duomo in the stunning medieval town of San Gimignano in Tuscany, I returned to my apartment with a sun burnt neck! It was October!! And I only needed a cardigan for the evenings. Italian winters are cold and wet - just like a lot of other places - but not without some gloriously sunny days. If you do plan to visit Italy in the winter there are some great accommodation deals to be had (see below) and you will leave with a better sense of life in the places you visit than when they are filled with other visitors during the summer. Just make sure the accommodation has heating and if possible that the price of such is included: gas and electricity is very expensive in Italy. What can I say? 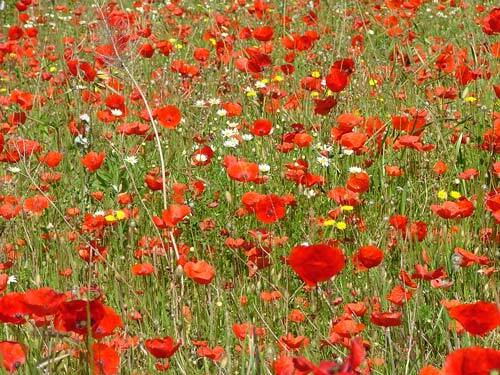 If rolling fields the colour of crimson, lime and yellow, full of wild flowers make you smile, then the best time to visit Italy is in the spring. If hillsides covered in russet and burgundy coloured vines laden with ripe grapes catch your imagination, then come in the autumn. Witness the grape and olive harvests and celebrate them with the autumnal festivities and sagre. 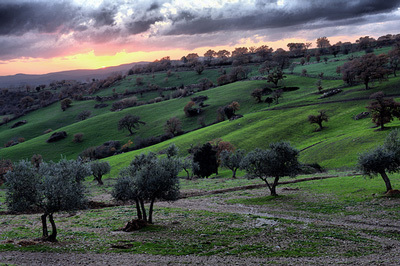 Take a look at some stunning Maremma Italy landscape pictures. If you don't mind wrapping-up to keep warm and taking your chances with the weather, the best time to visit Italy for some great accommodation deals is during the winter months. In addition, some of the European airlines often offer special short-term sales that can leave you with a return ticket for the price of a lunch! Although all of the campsites and the majority of hotels outside of the larger cities are closed from October through to "Pasqua" (Easter), there are some "agriturismi" (farmhouses) and bed and breakfast accommodations that stay open throughout the year. Many of which also offer reduced price short breaks. The best accommodation in Maremma. If you haven't had a family or friends gathering for a long time, why not do as our Italian friends do? Rent a villa or agriturismo and get everybody together and shop, cook, eat and have fun together... each couple or family with their own self-contained apartment to sleep in later. Many agriturismi also offer Christmas and New Year deals just for that reason. If you avoid last minute bookings, flight prices in the spring and autumn are considerably cheaper than during the height of summer. My UK friends manage to purchase return tickets with airlines such as Thomson, Easyjet and RyanAir for just over £40.00. And with the special off season sales that these airlines often offer, sometimes even for less. I have flown return in the early spring for 1 pence, plus the credit card booking fee of £10.00. My online recommendation for finding the best flight prices. Accommodation prices are, in most establishments, lower in the spring and autumn, doubling or even trebling in price for the months of July and August. Whilst we were waiting for our house move in Italy to complete, we stayed in self-catering holiday apartments (newly built, very clean and well furnished two-bedroom apartments with terraces and gardens) along the coast in Maremma in Tuscany from the beginning of April through to mid-June at a rate of between €650,00 and €700,00 for the month. The prices from mid-June doubled, and then again for July and August. Check out the best hotel prices for your visit. The stunning photograph at the top of the page is of the heart of the Tuscan hills in Maremma and was taken by Carlo Micheloni in May.